Where else will you have a chance to visit a rotating roof top bar/restarant with the best view of Washington DC? 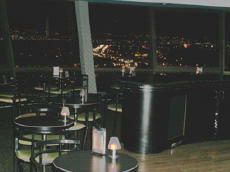 Those of you who lived or visited Moscow know that the Ostankino TV Tour is famous for its "The Seventh Heaven" rotating restaurant offering a bird's flight view of Moscow. Now you can have the same experience during our January social in Skydome Lounge. Just sit back, enjoy your wine and a romantic conversation while the floor of the restaurant rotates opening more panoramic views of Washington from different angles. Self Defence Presentation by Steve Matuttat, a Founder of World Wide Asault Prevention Services. But that is not all. January social will have an added value. Ladies, I want your attention! At the time when official propaganda in the USA, Russia and the Ukraine generates the scare of the growing domestic violence Encounters International, as usual, decided to address this issue in the most constructive way. We invited Steve Matuttat, founder of World Wide Asault Prevention Services to give our ladies (and gentlemen for that matter) a brief (20 to 30 min) presentation on Self Defence and Asault Prevention techniques. It is remarkable that foreign women who come to attended his seminars not only become more confident and in control of their options, but they become certified instructors on self defence and can teach these techniques in their own countries, reducing the effect of politically generated negative propaganda and scare tactics. 7:00-9:00 - Socializing, matchmaking, getting to know each other, enjoying the sights of Washington at night under the tunes of soft music in the background and romantic candlelights. 9:00 - on up to 2:30 am - dancing. Those of you met his or her potential soul mate at the earlier part of the social, or came as a couple will appreciate staying and dancing late. Note, that the event is free, but after 9:00 pm a cover charge of $10 will be required by a restaurant management. 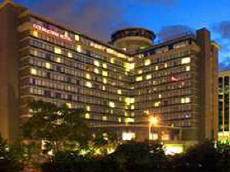 Address: Double Tree Hotel, 300 Army Navy Drive, Arlington, VA 22202. Telephone 703-416-4100. Ask for Christina, EI party hostess.